17: Stowaway - When the Fringe team investigates an apparent suicide victim, they uncover a second set of fingerprints leading them to a woman with uncanny characteristics that cannot die. 18: Bloodline - The intensity of life "over there" accelerates as Olivia finds herself in mortal danger. 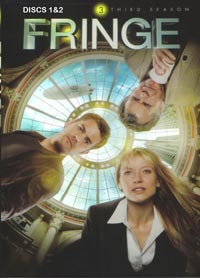 19: Lysergic Acid Diethylamide - The team makes a desperate attempt to remove William Bell's consciousness from Olivia's body before she's lost forever. 20: 6:02 AM EST - The beginning of the end is triggered when Walternate finds a way to wreak havoc "over here." 21: The Last Sam Weiss - Olivia joins forces with the mysterious Sam Weiss in a desperate race against time.